Is it Possible to Make Money from completing Research Surveys? Completing online surveys is an easy way to earn a bit of extra money. Businesses are listening and they value your thoughts and opinions on their products or services more than ever. Customer opinion is vital to brands, if there is something that you as a customer don’t like then there’s a good chance that others will feel the same way. It might be something really obvious to you but something that a business had never previously thought of and without customer feedback and suggestions brands risk alienating their customers and ultimately losing them. Once businesses have an insight into consumer’s thoughts, they can quickly respond to customer feedback and make changes suggested to improve their product or services. This two-way conversation is vital for building relationships and maintaining brand loyalty, and is becoming more important as market places become overcrowded with companies competing for customers. Partaking in surveys are a chance for you to get your opinion and voice heard. However, I recently decided to give the whole survey area another go when a couple of new companies came to my attention that ‘promised to be different’. After trying them for a number of weeks there was one that stood out; a company called SurveyBods. SurveyBods is a market research company who send you personalised surveys. Rather than filling in endless questions about products that don’t interest you or aren’t relevant to you, you first answer questions about your interests online and create a unique profile. 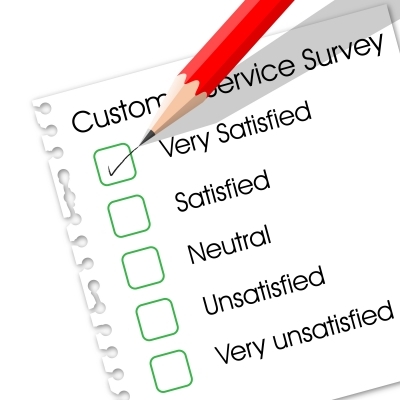 Surveys are then sent to you based on your profile information, meaning that you receive surveys more relevant to you and your stated interests. Best of all, the maximum length of a survey is 20 minutes – perfect if you’ve got an attention span as bad as mine. I found that they were great to do together with my daughter (they often want to know children’s opinions and the surveys are designed to reflect this), it was a fun rainy afternoon activity and the fact that we earned some money for completing the survey was a fab incentive. I have decided to save all the money each time I do a survey for a fun family treat, maybe a day out somewhere. You get paid for every survey (typically between 50p and £3) and I found it really satisfying the first time I completed one, knowing that my opinion will make a difference. In this economic climate it is a simple way to earn some pocket money and genuinely influence brands. As a panel member you also get entered into a monthly draw for the chance to win big prizes. Disclosure: The link to Survey Bods is an affiliate link – I will receive a small payment if you sign up. However I absolutely would not recommend this company unless I was using it myself and totally happy with the service, so the opinions in the piece are genuine. This is why I always want to catch your every post so that I can learn & view something new, interesting and authentic information and suggestion from you and I think this process really help to understand the platform of online Survey and make money using this system. Thanks for your interesting post. I know there are ways to make money with surveys, but it’s such a pain weeding out the bad seeds, so I appreciate you reviewing a legitimate company. Saves me a lot of time! Thanks! i was thinking that research surveys are cheating but now i got it. but the most easiest thing make money online is from google adsense.